Just west of the Alberta border on the north side of Highway 3, on the Crowsnest Pass route through the Rocky Mountains. For centuries native peoples camped at the site of the present day park to be followed in more recent times by explorers, fur traders and railroad builders. A pleasant stopping place watched over by the stately sentinels of the Erickson and Loop Ridges of the Rockies. There is good winter range for elk and deer in the vicinity. Please Note: The facilities in this Park are operated by the Ministry of Transportation. 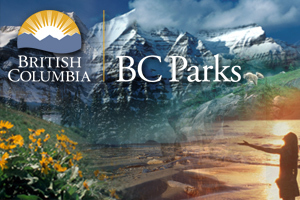 Services and facilities differ from those offered in other BC Parks. Approved Purpose Statement and Zoning Plan [PDF] for Crowsnest Provincial Park is available online in pdf format. Pets/Domestic animals must be on a leash at all times and are not allowed in beach areas or park buildings. You are responsible for their behaviour, and must dispose of their excrement. Backcountry areas are not suitable for dogs or other pets due to wildlife issues and the potential for problems with bears.